DISCOVER THE SECRET TO FULLER, THICKER HAIR. 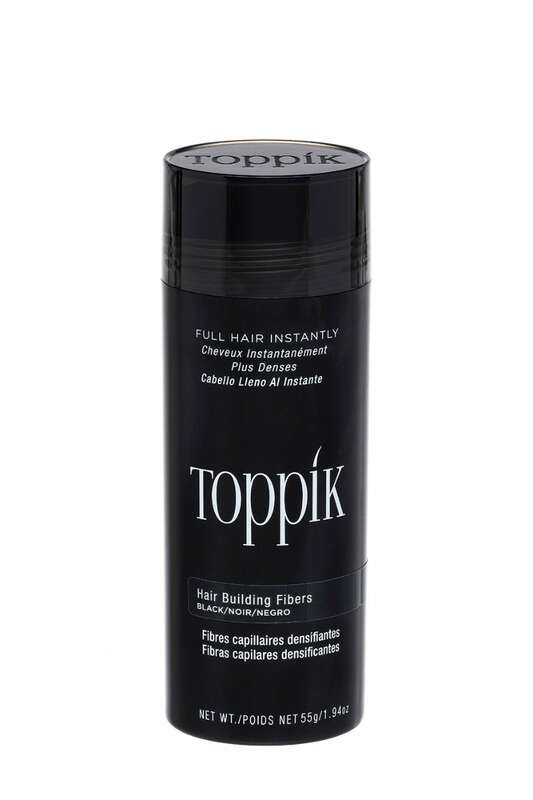 Toppik Keratin fibers cling electrostatically to your existing hair to give the appearance of thicker, fuller coverage. Toppik fibers are easy-to-use, blend seamlessly and undetectably, and will stay in place all day. Toppik Fibers can be used to conceal a wide-parting, and thinning at the crown and temples, or to perfect an uneven hair-line. They can even be used to add density to a patchy beard. Shake Toppik Fibers liberally into thinning areas. For best results, apply to clean freshly dried hair before use of styling products. Pat hair gently after application to settle fibres in place. For more targeted application at hairline or temples, remove sieve head of fibers pot and twist on Applicator Spray head. Squeezing gently to disperse the Fibers. Spray once into air to clear nossel. Hold six inches from hair and spray over area where Fibers are applied in 3-4 short sharp bursts.